It's that time of year again where college football betting fans and analysts turn their attention to the conference betting previews just before the season kicks off. 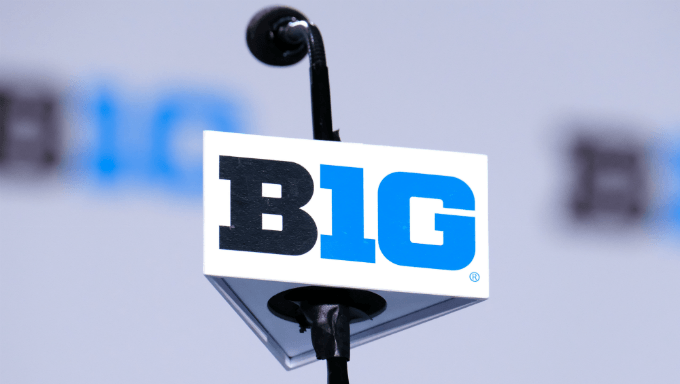 In this preview we check out the betting landscape of the Big Ten 2018-2019 season. How does betting on the Big Ten Championship look this year? And best over/under bets to take for the 2018 football season? We cover all that and more in this complete Big Ten betting guide for the 2018-2019 campaign. The Midwestern conference faltered down the stretch last year, costing itself a chance at the College Football Playoff when Ohio State was upset by Iowa in week 10. Ohio State went on to win the conference in a highly entertaining title game vs Wisconsin, but the loss to lowly Iowa opened the door for the SEC to sneak two teams into the CFP. We’ll need to update this if Urban Meyer gets fired, but right now Ohio State remains the favorites to win the Big Ten, any why not? They’re absolute loaded with talent in pretty much all positions. The offense is dangerous as always, and the defense is reloaded for another run at the national title. It’s your traditional Ohio State team, not much to say. There’s two other real favorites: Wisconsin and Penn State. Wisconsin’s strength lies in their defense, which was stereotypically Big Ten and one of the best in the nation last year. To be fair, they lose enough talent to have some question marks, but the arm of Alex Hornibrook and legs of Jonathan Taylor should help take some pressure off the defense until they get their feet underneath them. Once they do, good luck scoring on Bucky. You can almost pencil them in for the conference final out of the gate, the Big Ten West doesn’t look to have any other real challengers. Penn State has Trace McSorley, a Heisman favorite. That alone is a good reason to believe in the Nittany Lions, despite losing the best RB in college football last year. The defense is experienced after coach James Franklin gave the second team significantly more reps than most others in the nation. Penn State vs Ohio State might decide the Big Ten East as early as late September. Odds on these three aren’t great, but it’s not likely you’ll see anyone else standing tall over the Big Ten. Michigan and Michigan State should be good, but they’re both in the same division as OSU and PSU, and are likely to cannibalize each other. Plus Ohio State’s odds won’t win you a whole lot. Wisconsin is probably your best outright conference bet, they’re the most likely to come in rested and healthy. Karamba has the best value for Wisconsin winning the Big Ten with listed odds of 15/4. Looking for a Dark Horse? If you want to take a dark horse, check out Northwestern. They quietly have an elite defensive unit that could hold their own against almost anyone. If QB Clayton Thorson is fully recovered from the horrific knee injury suffered in December, the Wildcats could sneak past Wisconsin and cause all kinds of chaos. It’s an outside shot, but that’s the Northwestern way (looking at you, 1995). William Hill is offering brilliant 66/1 odds on the Wildcats surprising everyone and taking home the Big Ten crown in 2018-19. Wisconsin Over 9.5 Wins: 8/11 @ William Hill | That’s free money, Wisconsin can easily go 12-0. They meet Michigan and Penn State from the Big Ten East, and statistical probability says Bucky loses those two. That still leaves 10 wins on the schedule, and Wisconsin can absolutely knock off Michigan at The Big House for 11 wins. Smash that over. Indiana Over 5.5 Wins: 10/11 @ William Hill | Poor Indiana, they have a great head coach who can run a Top 25 defense anywhere in the country, but what should have been Indiana’s rise to power is being overshadowed as Penn State and Michigan come roaring back. That said, they can win 6. A cushy non-conference means they only need three more wins. Those wins will be Maryland, Rutgers, and Purdue. Can they also slide in a win over Iowa and/or Minnesota? Absolutely, they have the defense to do it. Expect a 6-win season at least and bet the over. Illinois Under 3.5 Wins: Even @ William Hill | Lovie Smith is a great person, but Illinois isn’t going to wait for him to rebuild when he’s got no tangible improvement on the record. They *could* beat Kent State and Western Illinois, but you should probably avoid betting on either of those games. Rutgers might be the only other feasible win on the schedule. Maybe they’ll turn it around on the back of RB Mike Epstein and WR Mike Dudek, this is college football after all. It’s highly unlikely though, so take the under and Lovie to be fired by the end of the year. Avoid Nebraska's 6.5 win total. | The Huskers are an absolute wildcard this year, and wins are going to hover right around 6 and 7. New head coach Scott Frost is a brilliant coach, as showcased by his 2017 UCF team. If he finds the right defensive coordinator, Nebraska will be back to power very soon. But that’s at least two season away before they make a proper run at the title. As it stands, they’ll cause some chaos and probably go bowling. Will they win 7? That’s really tough. Unless your name is Nostradamus, stay away. Avoid Big Ten East contenders Ohio State, Penn State, Michigan, and Michigan State. | Despite singing the praises of OSU and PSU earlier, any of these four teams could knock each other off at a moment’s notice. Or Ohio State can glitch out against Iowa. Given the lines range between 9-11 wins for these teams, the margin for error is razor thin for bettors. Ohio State especially, they have the talent to run the table but could drop a stinker as well. Someone, probably two of them, will reach 10 wins. But it's best to avoid trying to figure out who it's going to be. Fans of the Big Ten should be ready for another run at the national title by at least one Big Ten team. The Big Ten East is one of the strongest conferences in the nation, and should produce some of the most entertaining games this season. 888sport has Ohio State listed at 7/1, the favorite to with it all among Big Ten contenders. The Buckeyes are followed by Michigan listed at 12/1 and Penn State listed at 14/1 to win the National Championship. If you're following Wisconsin to win the Big Ten, you can double down on them to make the playoffs at 16/5 with Karamba, or all out win the title at 25/1 with 888sport. If there’s one thing you can bet for sure, the Big Ten is ready to return to the College Football Playoff and reclaim the throne.